Our big OPENING NIGHT (Thurs. 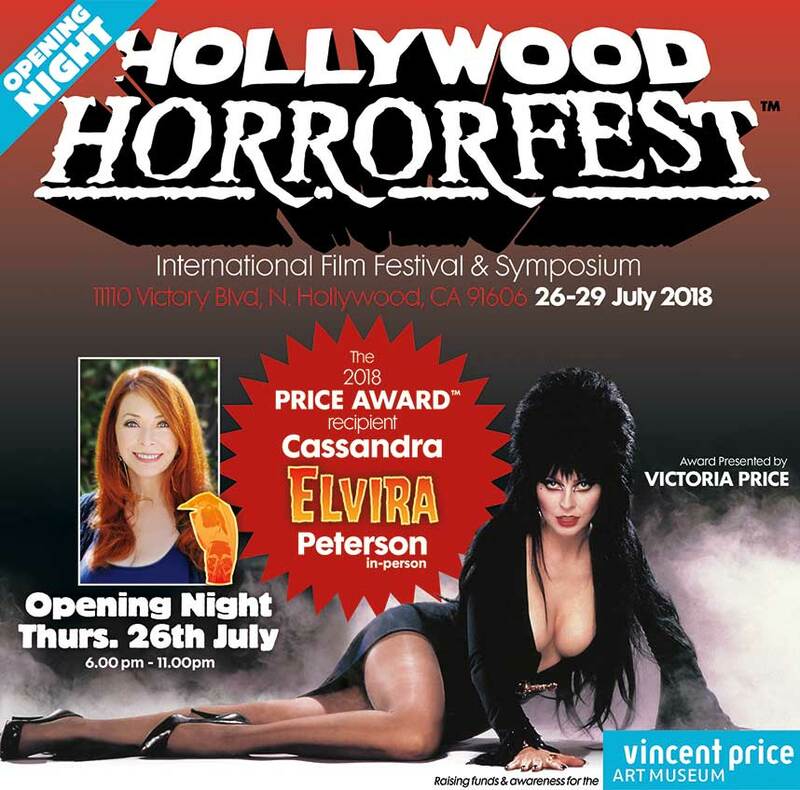 July 26) event – celebrating the career of CASSANDRA “ELVIRA” PETERSON, honoring her as the 2nd recipient of the prestigious PRICE AWARD (to be given by Vincent’s daughter VICTORIA PRICE). With a short presentation by Victoria on her Dad, VINCENT PRICE, followed by a cast & crew screening of the wonderful “ELVIRA’S HAUNTED HILLS” (2001). FREE 1-sheet posters will be given out (while stocks last). Raising awareness and funds for the VINCENT PRICE ART MUSEUM – plus celebrity charity raffle all night! This is a small, intimate venue (with full bar, snacks, vendors and more guests to be announced) – so tickets will sell out. Book early too avoid disappointment.